STIHL SAWS AVAILABLE! If you are a local customer, you may chose to get a Stihl saw if you would prefer. This offer is for local customers only due to shipping restrictions. Call for details. 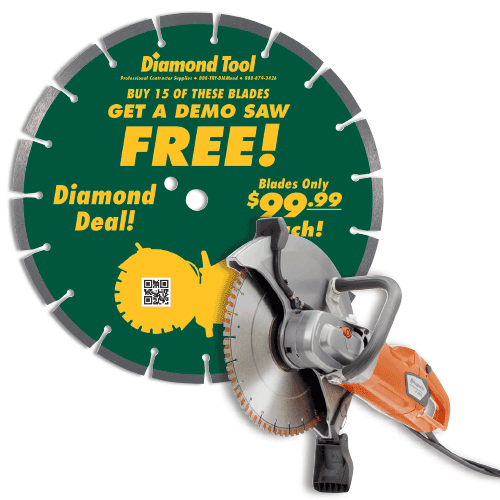 Diamond Blade Package - Buy (15) of the 14" Dry Diamond Blades and Get A FREE Husqvarna K4000EL Demo Saw!